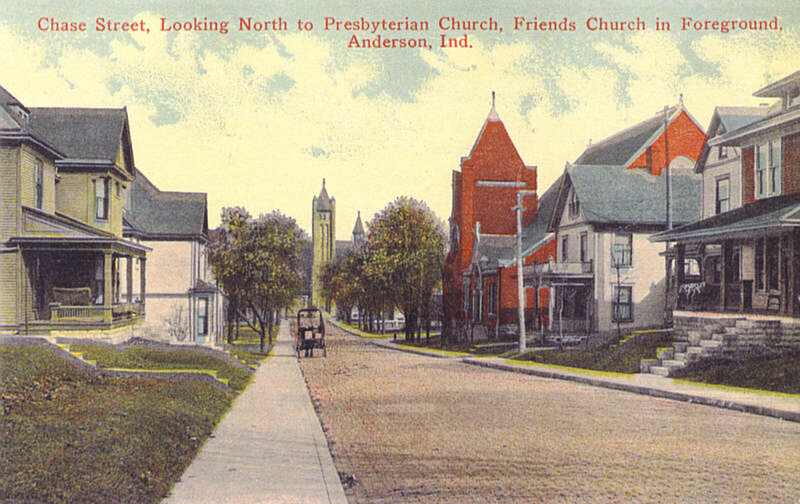 In years past, postcards were sent from all areas of the country as people travelled. 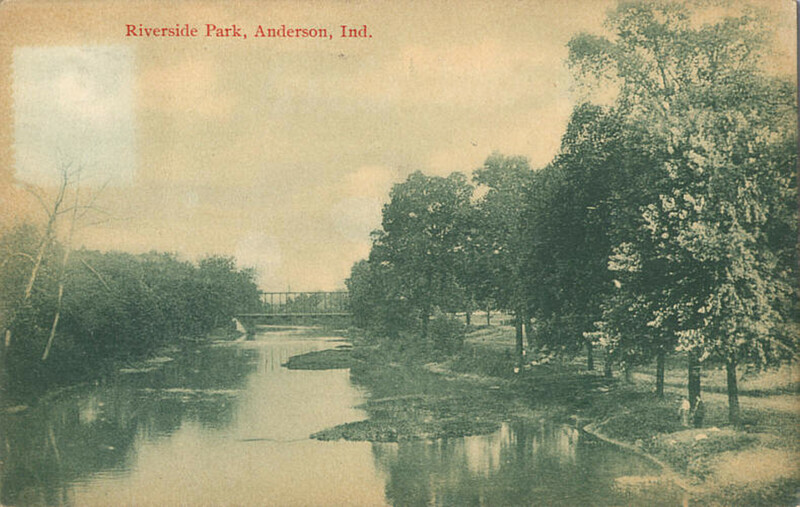 This page is dedicated to Anderson area postcards. More will be posted soon. 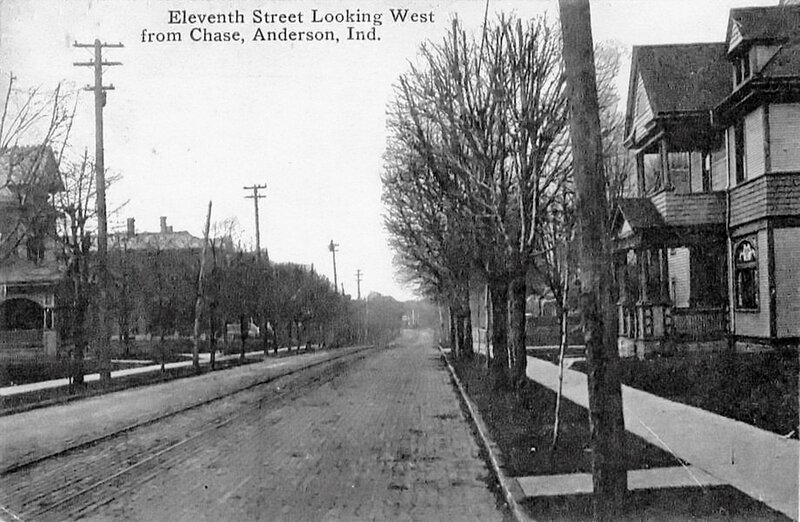 Looking North on Meridian Street from West 12th Street (c.1910). The Union building is in the foreground right. The empty lot in foreground right is the site of the Paramount Theater. 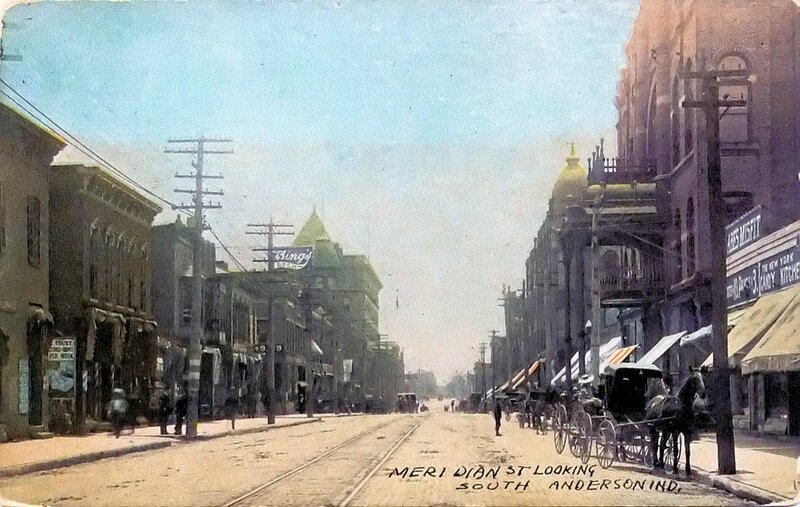 Looking South on Meridian Street from West 9th Street (c.1900). 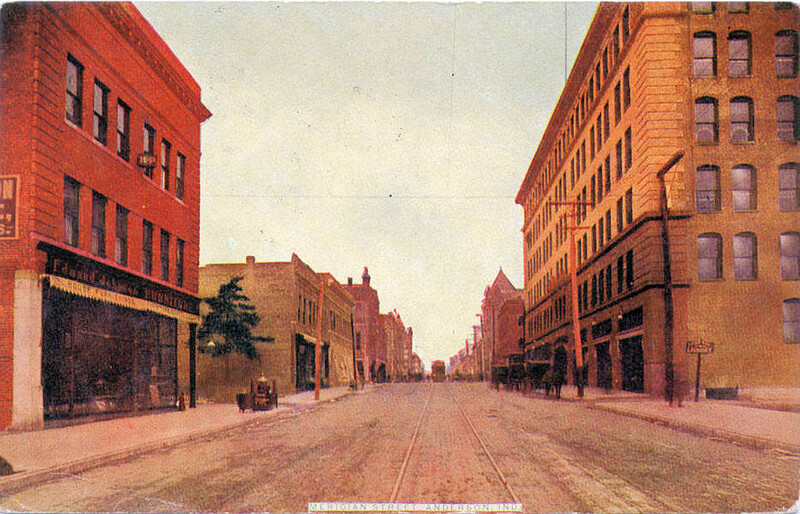 The Union building can be seen in the distance on the left. 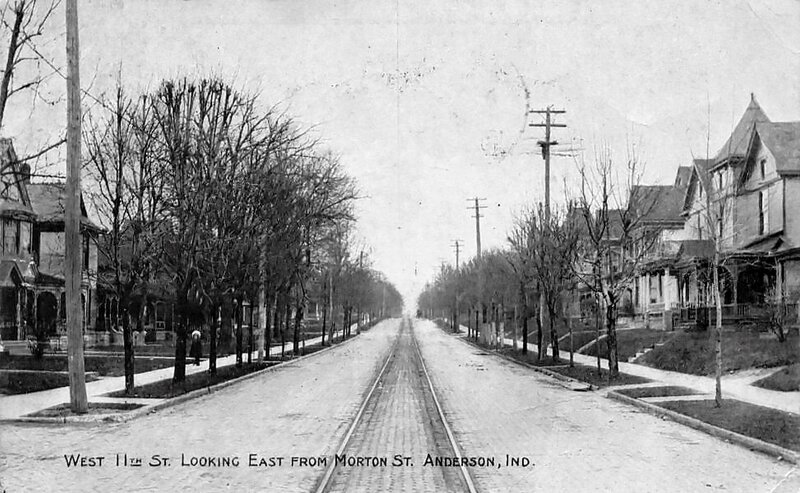 Note the Interurban tracks in the middle of the street. 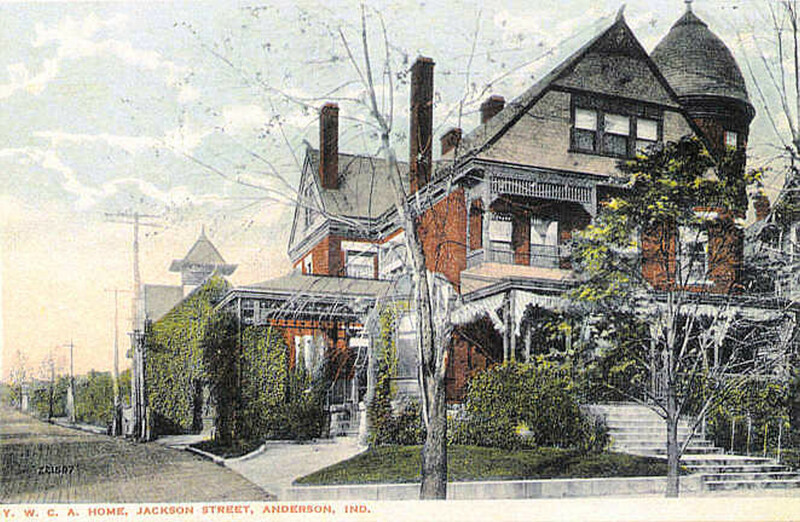 The Anderson Post Office (c.1900). Notice the building is only one floor. 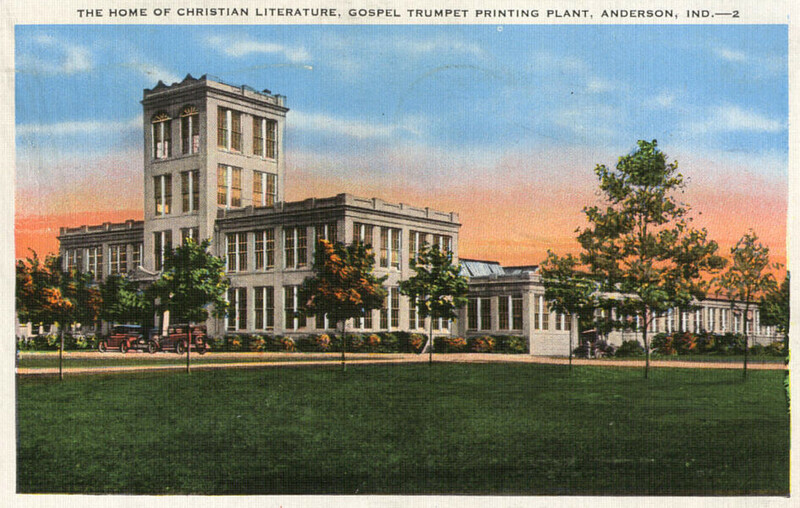 This building was most recently used as the Public School administration building. 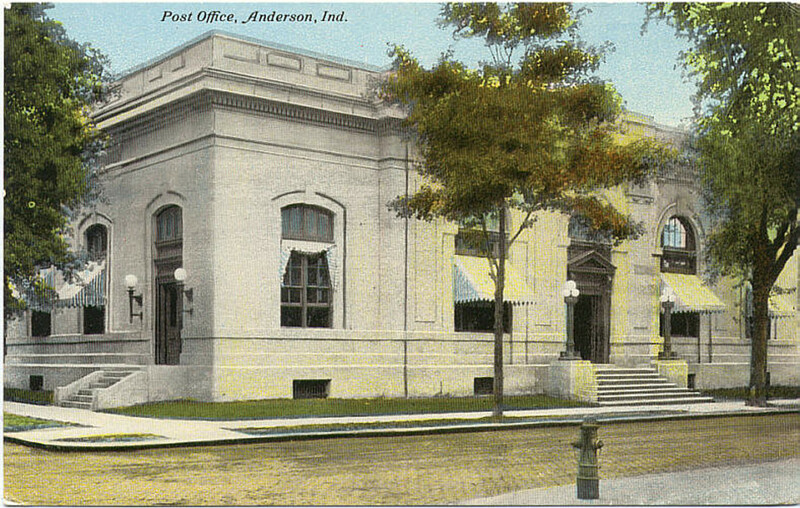 The Anderson Post Office (c.1910) after the 2nd floor was added and a view of the Carnegie Library. 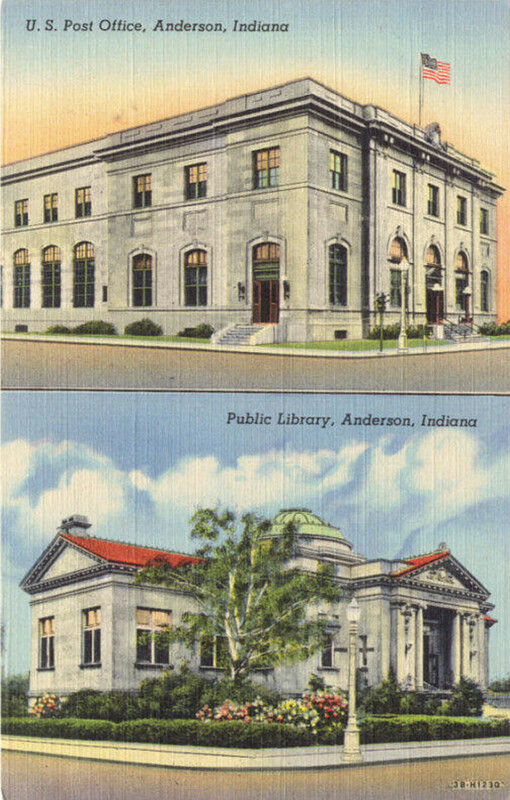 The library building now serves as the Anderson Fine Arts Center. 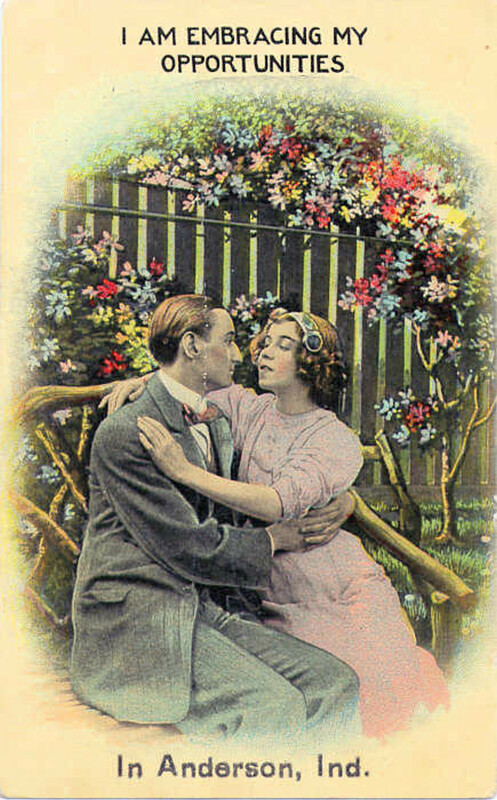 A 1916 postcard speaking of love and opportunity in Anderson, Indiana! !